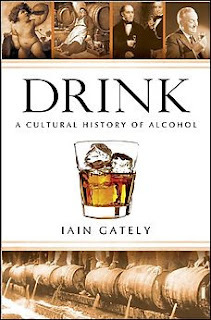 Jonathan Yardley, a Washington Post columnist and book reviewer, wrote today on Drink: A Cultural History of Alcohol by British writer Iain Gately. Alcohol is a fundamental part of Western culture. It is the most controversial part of our diet, simultaneously nourishing and intoxicating the human frame. Its equivocal influence over civilization can be equated to the polar characters of Dr. Jeckyll and Mr. Hyde. At times its philanthropic side has appeared to be in the ascendant, at others the psychopath has been at large. <...> In both ancient Greece, and the present millennium, it has been credited with the powers of inspiration and destruction. 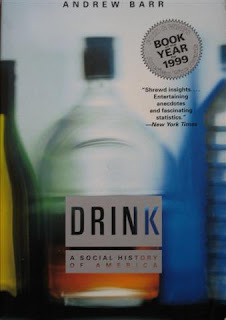 In 1999, fellow British writer Andrew Barr published his book, also entitled Drink. 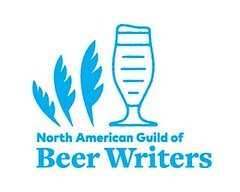 His subject matter, however, was specific to the history of alcoholic beverages in the USA. The title after the colon continued: A Social History of America. Barr took more of an active stance in favor of the salubrious aspects of good beverages and against American alcoholic prudery (his view, not altogether untrue). 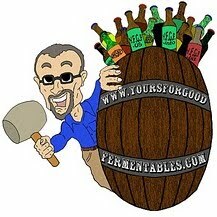 I was alerted to Barr's Drink several years ago by Baltimore beer blogger Alexander D. Mitchell IV, who in fact gave me a copy. Funny, I just picked up the Barr book from the library, and despite my inclination to agree with his premise— that Americans suffer from a dysfunctional relationship with alcohol in comparison with Western Europe— I found many of his arguments so preposterous, and his book so generally disorganized (as though its author had been nipping out to the pub throughout its composition and couldn't manage to pick up the thread) that I ultimately lost patience with it. Someone needs to write a definitive history of alcohol in the US, but it certainly isn't Andrew Barr, whose unfamiliarity with America as anything but an abstract notion seems tenuous, at best. In related news, have you heard of (or read) "A History of the World in Six Glasses" by Tom Standage? I took it out from the library after seeing it referenced somewhere (for the life of me, I can't remember where now), but it has just been sitting on the shelf staring at me for a week now. If you're not familiar with it, Standage "presents an original, well-documented vision of world history, telling the story of humanity from the Stone Age to the twenty-first century through the lens of beer, wine, spirits, coffee, tea, and cola."